Hello All! 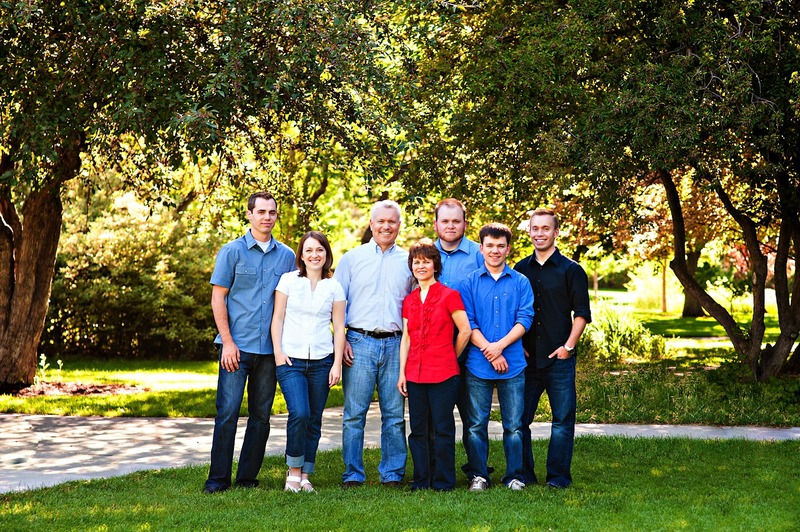 I haven’t been posting at all lately as we’ve been away visiting family these last few weeks. The last week of June, we visited my family in Utah for a week and had some family pictures taken. 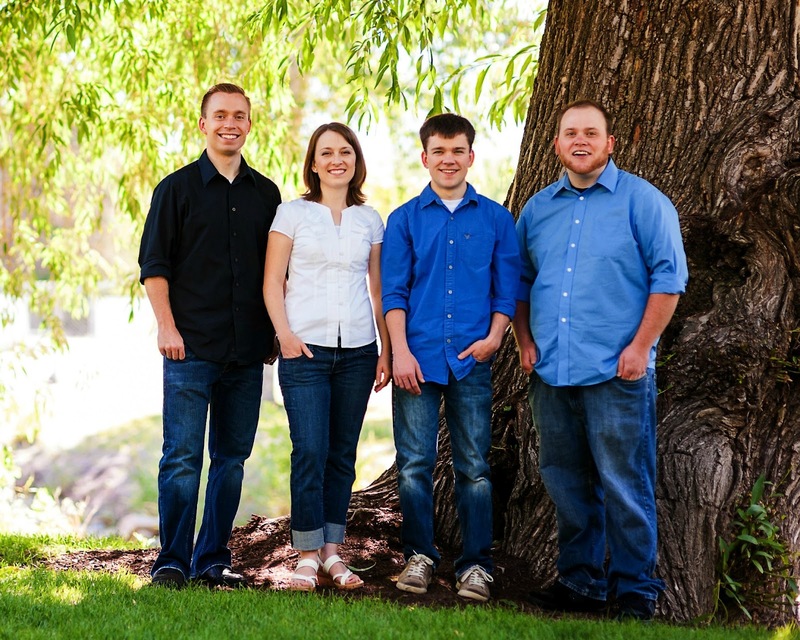 This was the first time we had photos taken of the family in 5 years, and the first family photo since Scott and I got married. Everyone let me put powder on their cheeks and forehead except Dad. I guess he thought it would affect his masculinity. It was nice to have my brother, Garrett, back from Texas. He got a little taller the last couple of years. 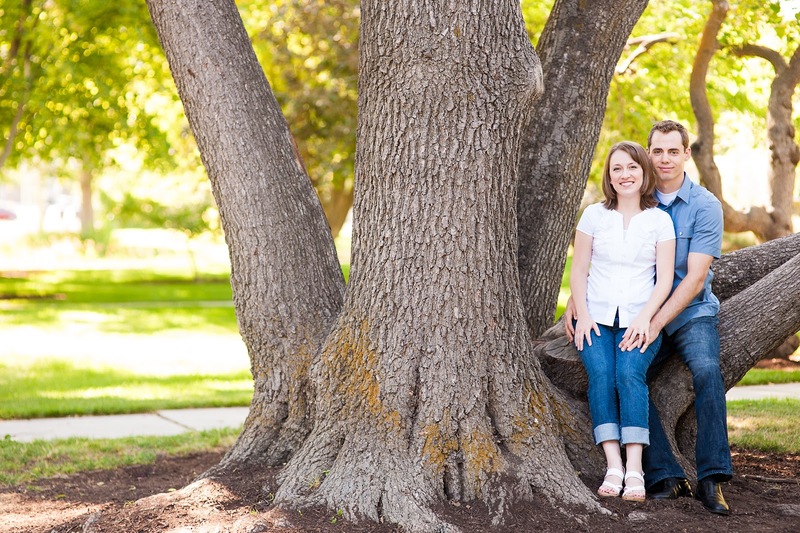 A few weeks later we headed off to Virginia to visit the Allens, my husband’s family. Scott fished on their lake and took care of the animals most of the time. 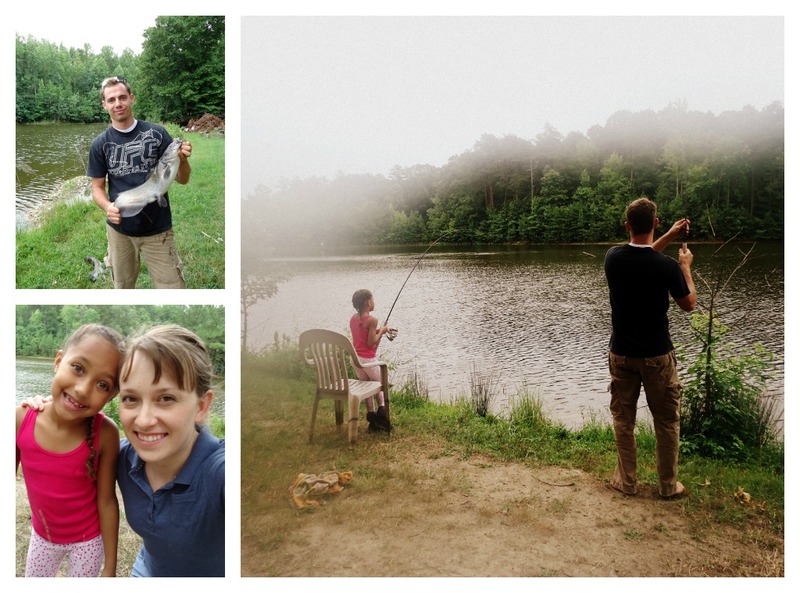 Scott, Gabi and John caught fish for a catfish fry one night. We enjoyed having Scott’s Grandma around. She is almost 92! 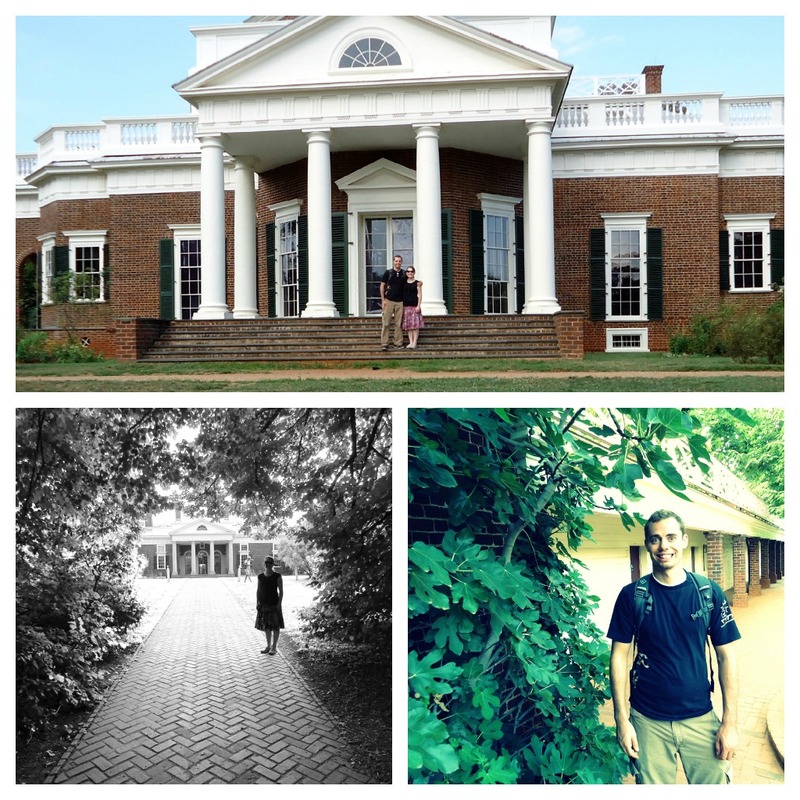 Scott and I snuck away to visit Monticello. It was very interesting learning about Jefferson. Near the end of our trip, we visited my friend Alex and her husband Juan, in D.C. 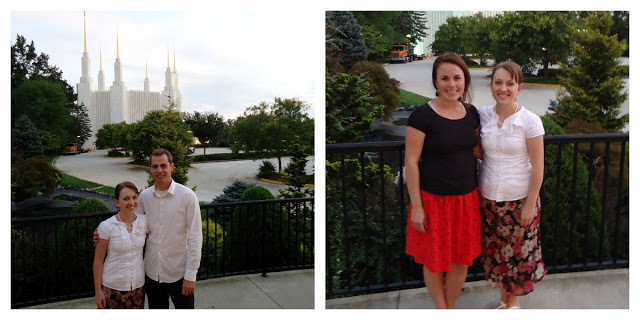 They took us to see the Washington D.C. LDS Temple. The grounds were beautiful and so was the temple. I couldn’t get over how cute their new baby is. On our way back to Virginia, we stopped by G Street Fabrics. I had never been there before and heard good reviews of the store on Patternreview.com. There were so many beautiful fabrics there…most of the things I liked were out of my price range. (I cannot justify spending $30/yd on fabric no matter how much I love it.) 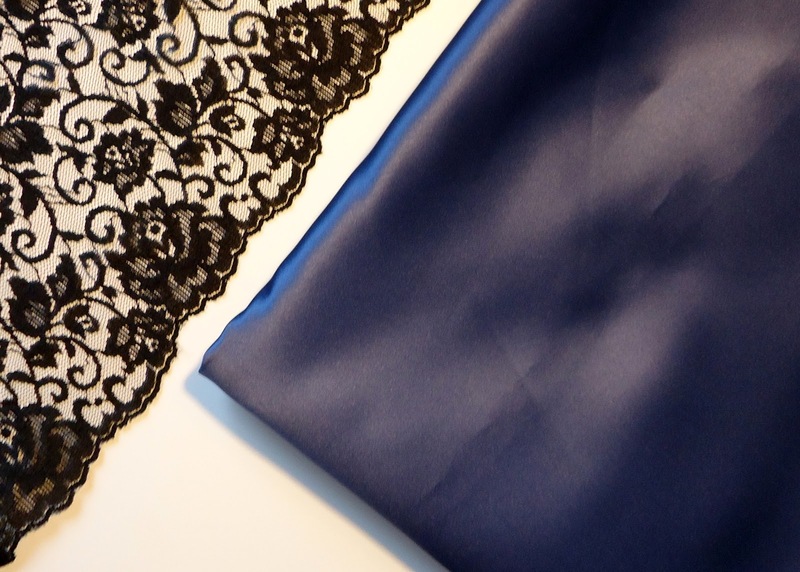 I bought some blue satin ($3/yd) to make a cocktail dress with and some beautiful black lace. I will be needing some fancy dresses for Navy events when we move to Charleston. I will probably line it with black or with a dark blue or grey. The last time Vogue patterns were on sale this pattern was out of stock. Boooo!!! Next time I’ll go the first day of the sale. For the blue polyester satin, I love the look of Vogue 1271 by Kate Unger. The design on the top is suited to my pear shaped body and the form-fitting shape is good for my small frame. The princess lines on the bodice would make a SBA super easy. We had two great trips and have a couple of weeks of play before Scott starts school for the fall. I’m working on a muslin for some shorts. Is everyone else out there as afraid of pants as I am? It is so hard to get a good fit! That vogue 8766 pattern looks so cute! Hope you love charleston – that's where I live! Happy sewing! Vigue patterns are on sale this weekend, August 3-5 at JoAnnes Fabric and Crafts. I am trying to get back into sewing myself so spent the afternoon at the local store and will be tere again tomorrow and Saturday to scoop up the daily bargains they have going on each day. Good luck with your fabric shopping adventures! I just went looking for that Vogue pattern again and they didn't have it. Maybe I'll call around to different locations. Hi! Love your blog. Vogue Pattern web site also runs sales and I have purchased from them before (www.voguepatterns.mccall.com). You will pay a shipping charge but it is very reasonable and that way you can get the specific pattern you want. They also have specials on discontinued patterns as well as the newest designer ones. For fabrics for special dresses I don't think any site beats the prices at Fabric Mart (www.fabricmartfabrics.com). 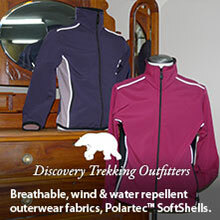 They are a hit or miss store so check daily and they run terrific specials that change almost daily.